Cathy has been a successful full-time residential sales broker since 2003 focusing not only on Chicago, but also the surrounding suburbs. Through years of experience, Cathy has continually found her clients their ideal homes time and time again. Thanks to her patience, attention to detail, and thorough understanding of each individual client’s needs, she has helped them navigate their way effectively to a new dream home. Cathy is extremely dedicated to her clients and always places their interests first. She ensures that her clients always understand the intricate buying and selling process so they are well informed and confident every step of the way. A perfect blend of experience, honesty, and optimism guarantees that anyone looking to buy or sell in the Chicagoland area is in caring and capable hands when they work with Cathy. Among her long list of accomplishments in real estate, Cathy was awarded the top residential producer by CAR and received a G.R.I. Designation held by less than 5% of Realtors. She prides herself on the strong relationships she has built that continue with multiple generations of families and repeat business from her well-pleased clients. Cathy worked hard for her well earned Bachelor of Science degree from Valparaiso University in Indiana. Previous to entering the real estate world, Cathy spent 10 years working for a global human resource consulting firm in project management and as a quality assurance manager serving Fortune 500 clients. This experience perfectly solidified her skills to become the successful agent she is today. 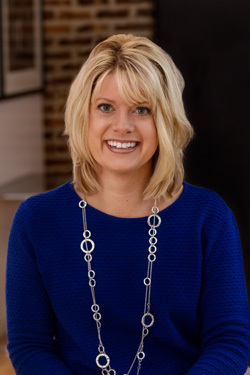 A lifelong Chicagoan, Cathy resides on the Northwest side of the city and enjoys spending time with her family exploring the outdoors, biking, hiking (be sure to get her thoughts on the best National and State parks) and finding the best BBQ restaurants in the Windy City with her husband and sons.